I'll be honest: I'm kind of a snob when it comes to Christian fiction. To me, it seems that so much of it is either very much contrived and preachy or very much not-really-Christian with a few references to Jesus thrown in to make it (sort of) work. 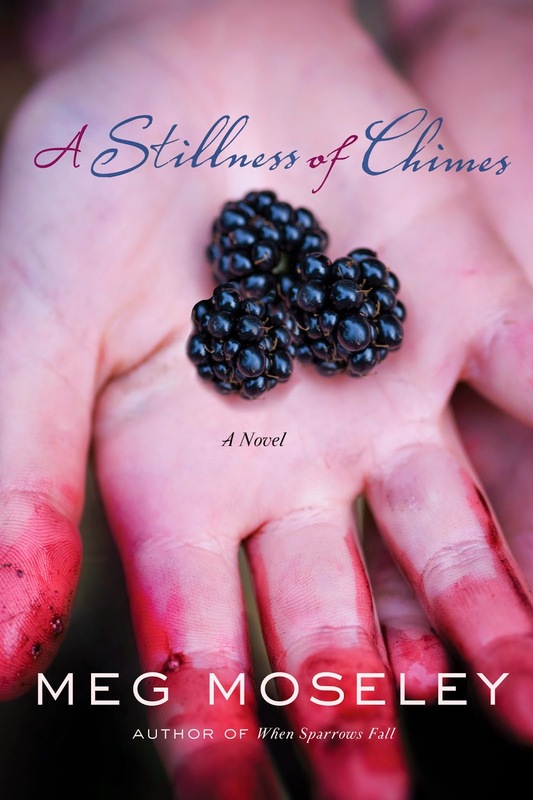 That's why I was so so SO pleasantly surprised by Meg Moseley's A Stillness of Chimes. It's like a real story. Written by a real author. With real talent. It's really good! Laura Gantt has just lost her mother, so she's hanging out in her hometown of Prospect, Georgia for awhile to settle her household. Twelve years ago, she lost her father to a suspected lake drowning, but now rumors are circling that he's been seen around the area. Former fiance and lifelong friend, Sean, has his doubts, but he's willing to help Laura find out. Together, they discover the truth---with some very surprising secrets being unearthed along the way. I love a good mystery and this one didn't disappoint---too much. I usually do have the mystery figured out early on, but it's always fun to see how it all plays out. Though I had this one about half way through, I definitely enjoyed this story of grace, forgiveness, and ultimate sacrifice. 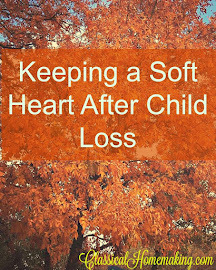 The scenes where Laura misses and remembers her mother lead me to believe that this author has dealt with that kind of loss on a personal level. The part where she takes the last blackberries out of the freezer and makes a cobbler---with the last berries ever picked by her mother---oh. my. goodness. Girls, that was too much. Really made me miss my mama so far away in Oregon. For more info, check out the author bio and read chapter one. I've been on the lookout for good Southern fiction---this one is a definite must-read. Do you have any other good suggestions for me? 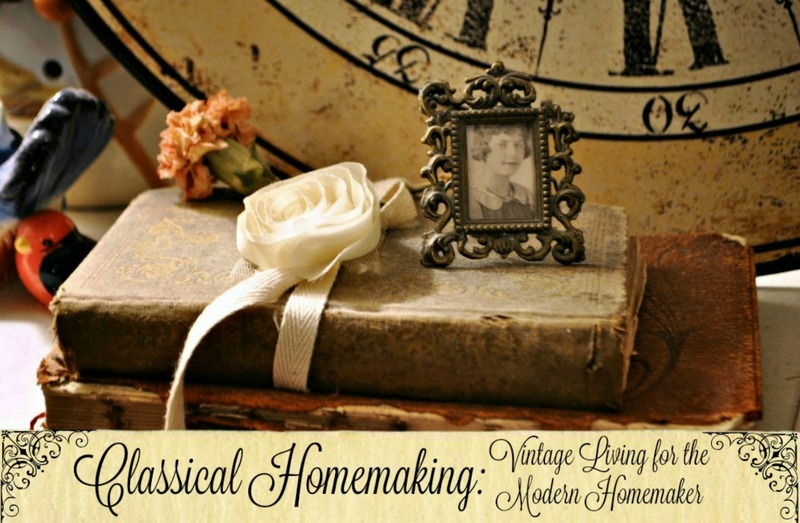 Lets make a list in the comments---and don't forget to link up with the Homemaking Party! I received this book from Blogging for Books to review on my blog. All opinions are honest and are my own. 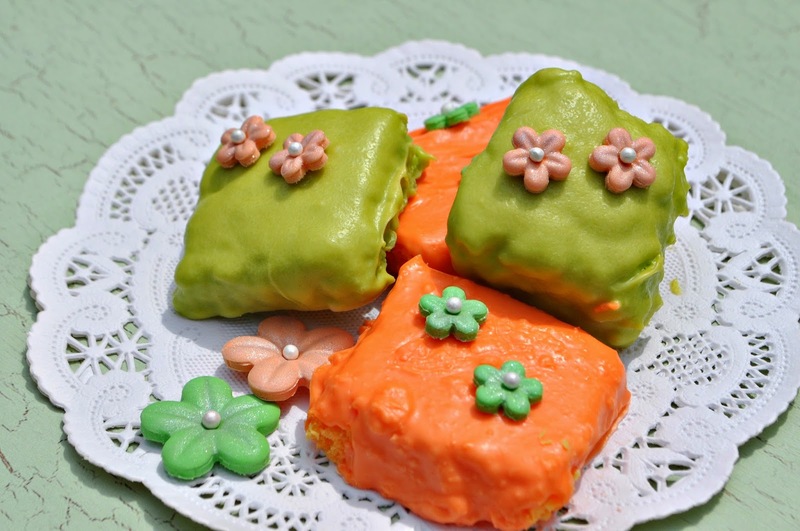 What's more dainty at a tea party than a sweetly decorated petit four? 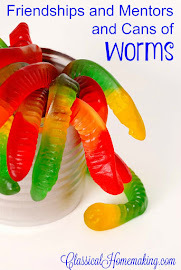 My recipe is super easy and so delicious. Don't they look good? Make them for your friends and they'll make you look good too! Notice I don't dip them and level them perfectly. I think it adds to the uniqueness and homemade look. Ok, honestly, they look like this because I ran out of oil to add to the melted candy coating. It's important. Don't forget. So why am I not taking the time to redo them so they'll be absolutely perfect for my photos? Because I am human and you are too and I want you to feel comfortable making these---even if they don't look like they belong on a magazine cover. I'm giving myself permission to be imperfect. That's important too. Don't forget. My husband made the little flowers with gum paste, luster dust, and little pearly candies. He's always making cute flowers for me out of gum paste. I came home from my last blogging conference and told him I'm recruiting him onto my creative team. He felt sort of honored until he found out my creative team now consisted of two members. These tasty treats are a spin on my Fruity Brownie recipe. They're rich, tangy, and fairly dense, so you'll be fine cutting them small. One batch makes approximately 75 squares. 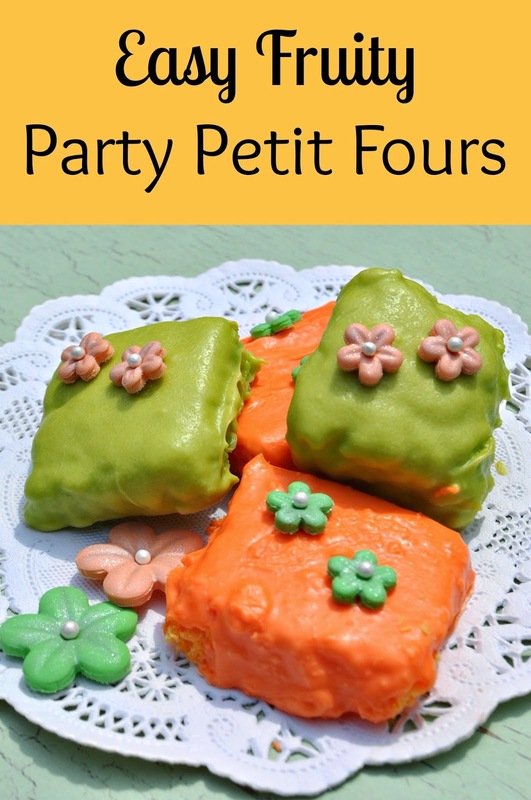 For a taller petit four, fill with frosting, chocolate, jam, or whatever you please! Heat oven to 350º. Grease a 15x9 jelly roll pan (or line with parchment paper). Mix all ingredients on low for 30 seconds and then on high for 2 minutes. Bake for about 20 minutes or until done through. Cool completely, then cut into squares. Melt candy coating completely and then add in oil, 1 teaspoon at a time, until it's reached your desired dipping consistency. Dip cakes and let cool on a cooling rack until set. If you want to top them with sprinkles or something similar, make sure you do that right away after dipping, as the coating will set fast. 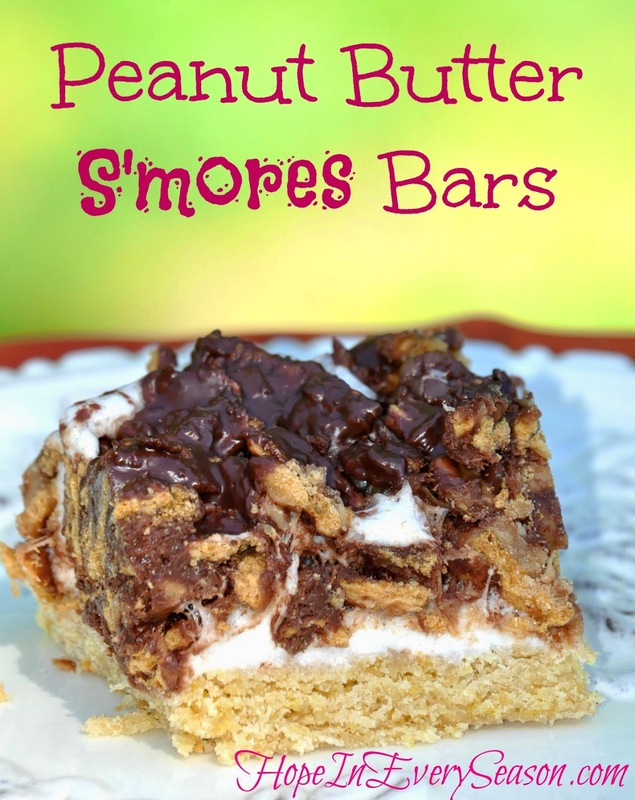 I'd love to know if you give these a try! This campaign has been compensated by Blueprint Social and it's client. All opinions are honest and are my own. Our move to Arkansas has already brought our family many blessings---most importantly are our new friends and church family. Lynzie and Aaliyah (check out her mom's blog: City Girl, Country Life) have become fast friends and have so many things in common. One big way they've hit it off is with their mutual love for My Little Pony. 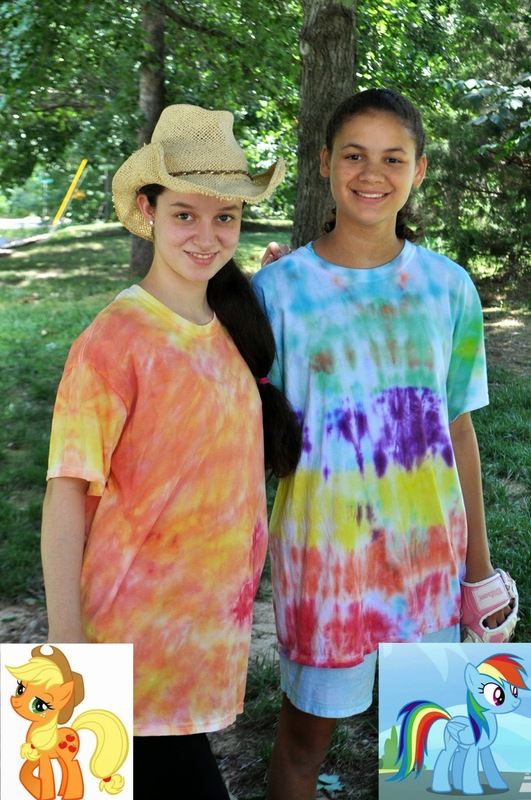 When I was invited to work on the Tie Dye Your Summer campaign with Tulip, Lynzie had the perfect idea in mind: My Little Pony Inspired Tie-Dyed T-Shirts! Tulip sent me a very generous package of supplies. 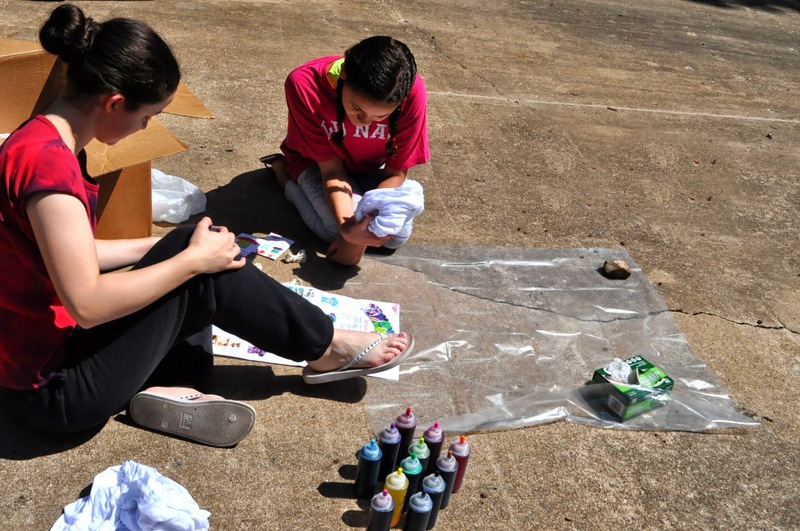 In addition to all of this dye, they also sent a huge bag of white T-shirts to play with! Lynzie had played around with America's favorite tie-dye before, so she was definitely the expert on this one. The girls wanted to make T-shirts based on their favorite pony characters. I thought that was a super creative idea and they really did a great job. 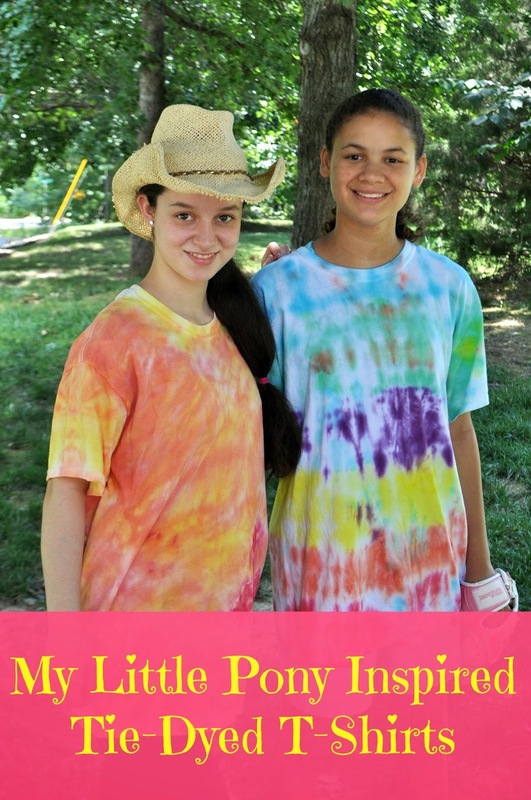 Tie-dye is a great project for friends and family fun and no two projects are ever the same. 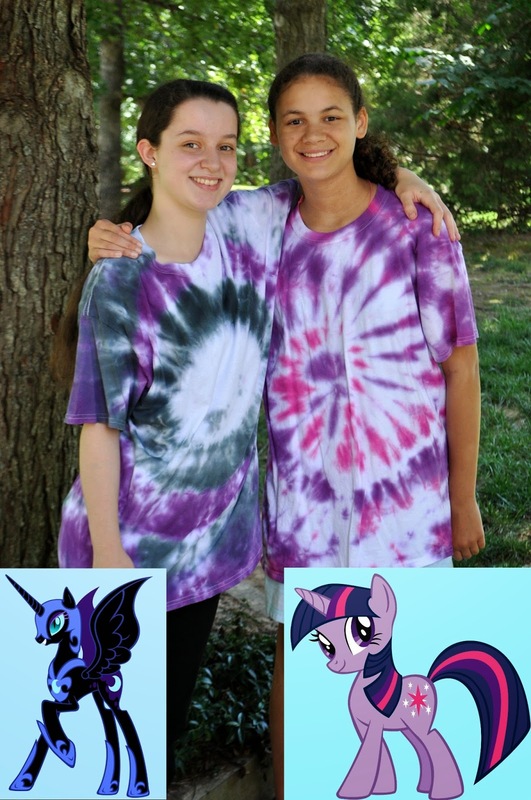 Here are their shirts inspired by Nightmare Moon and Twilight Sparkle. Dyeing the shirts was super easy. Because the dyed shirts needed to sit for 24 hours before washing, drying, and wearing, the girls planned two work days. On the first day, they started by wetting down the shirts thoroughly and then wringing them out. 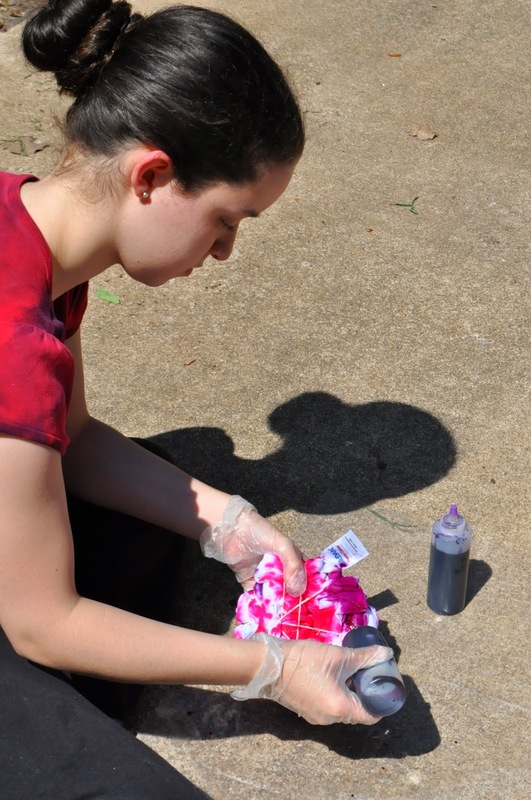 They filled the dye bottles with water and grabbed some plastic gloves to protect their hands from being tie-dyed too! 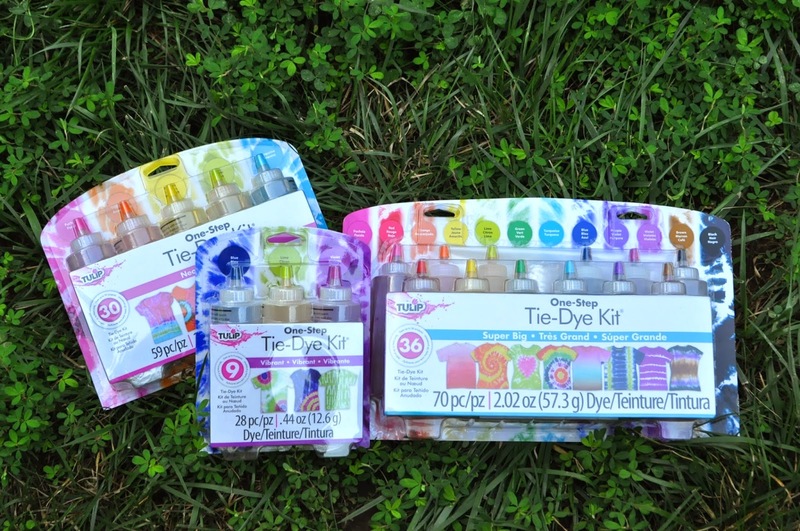 These one-step dye bottles make mixing so easy as they already contain the dye---you just add the water. 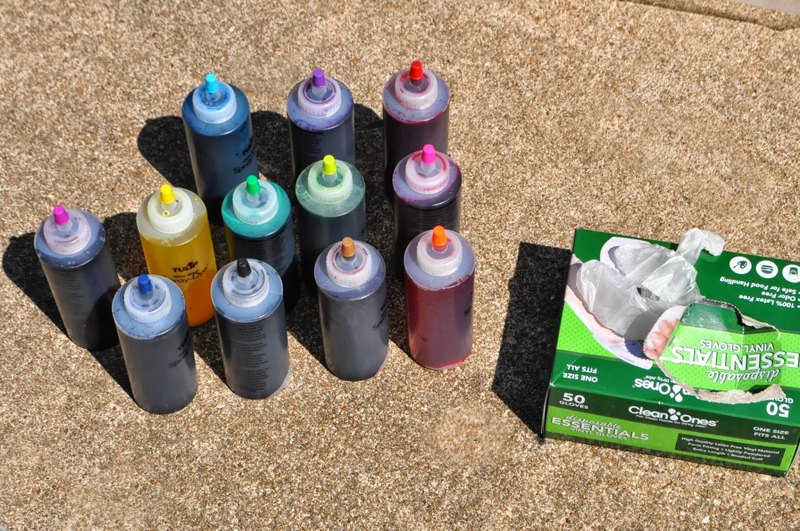 The dye is color fast and permanent so it won't fade out in the wash.
Then they spread out some plastic on the driveway for a work surface. After reading through the directions and getting some inspiration from the photo ideas, they were ready to start coloring. To make a pattern on the shirts, they twisted them in different ways. Once they were twisted, they secured their designs with rubber bands. 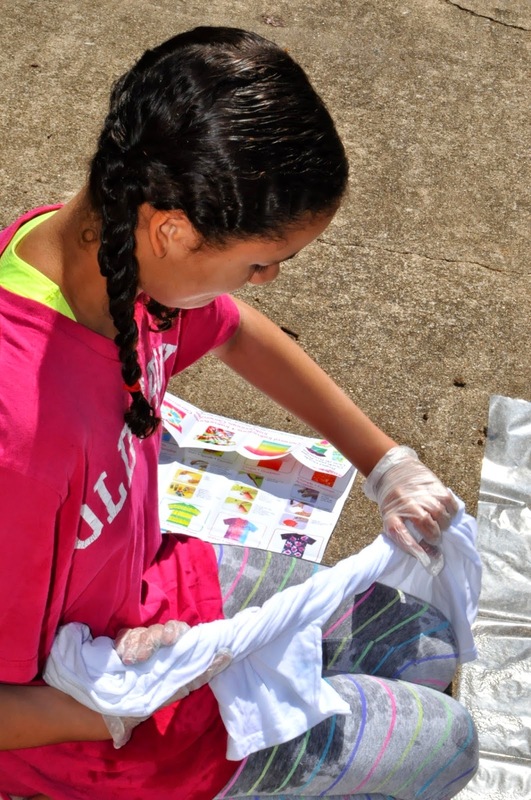 Next, they picked their dye colors and saturated the shirts with dye. I was surprised by how quickly they were able to complete three shirts each. In a matter of minutes, their shirts were ready to sit for 24 hours. 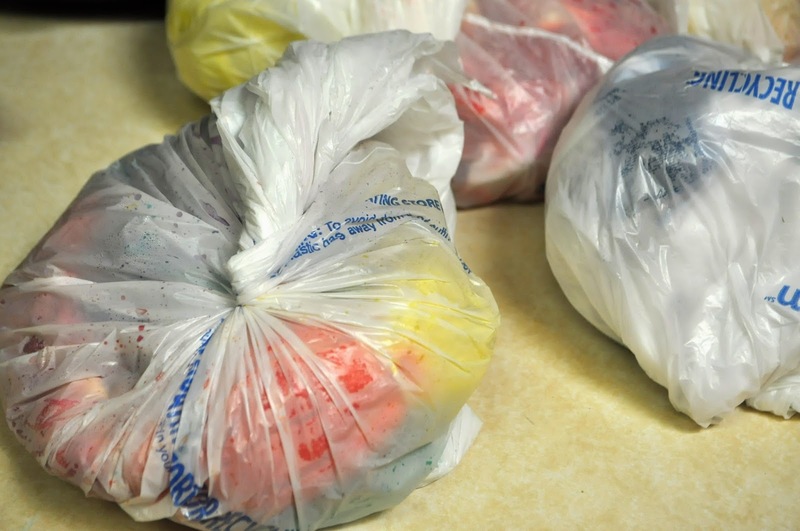 They packed them each into their own plastic sack and set them on the counter for a little T-shirt sleepover. 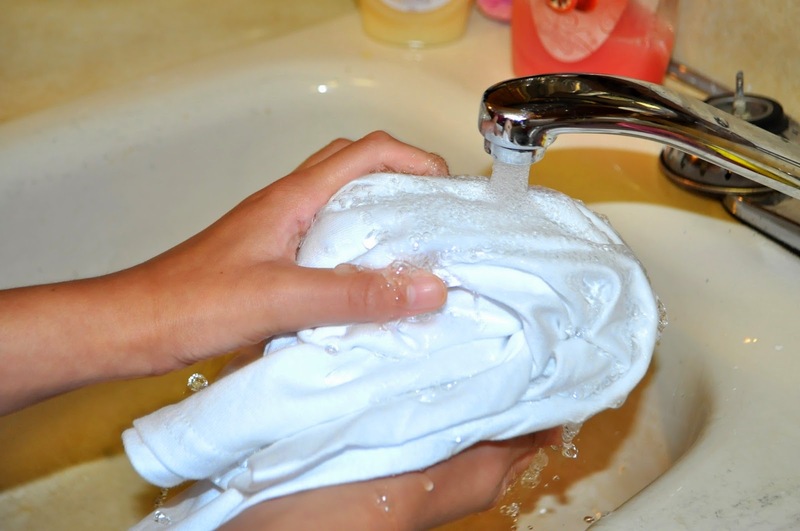 After the 24 hours were up, Lynzie rinsed out each shirt and we washed them individually. 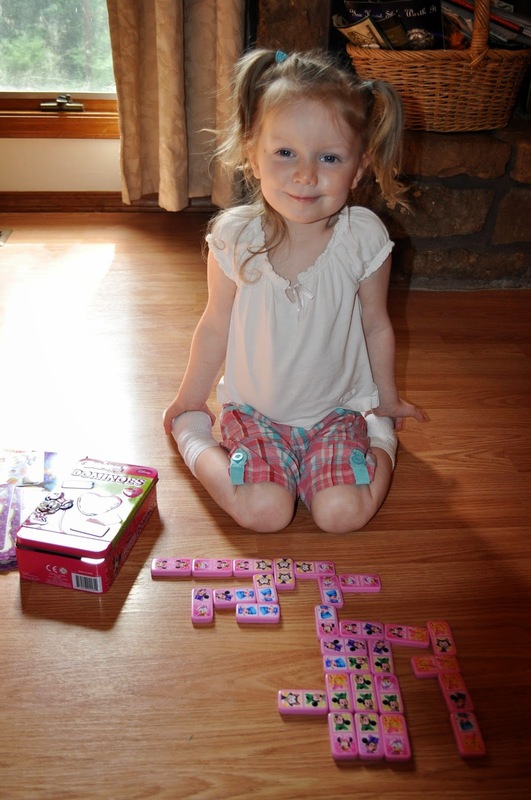 When they were all done, Aaliyah came back over for a photo shoot. 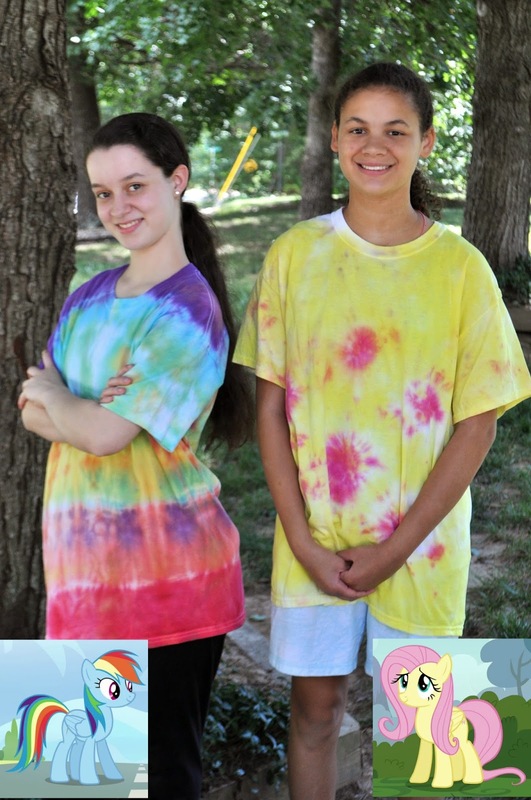 Here are the shirts inspired by Rainbow Dash and Fluttershy. This photo is my favorite. Here we've got Apple Jack on the left and Rainbow Dash on the right. These are two of the original ponies from when the series was first made popular in the 1980s. I had both of these ponies and have special memories of enjoying them just like these girls do now. 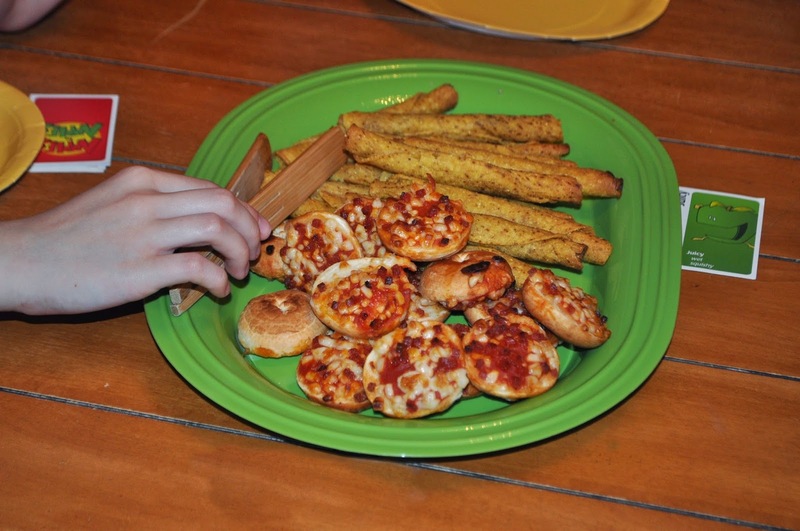 One thing that my older kids really looked forward to when they were younger was the day they'd be old enough to make their own food in the kitchen. 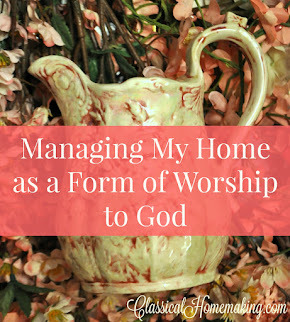 It's such a symbol of status around our house to be able to open up the fridge, freezer, or pantry, grab something to fix, and cook it all by themselves! 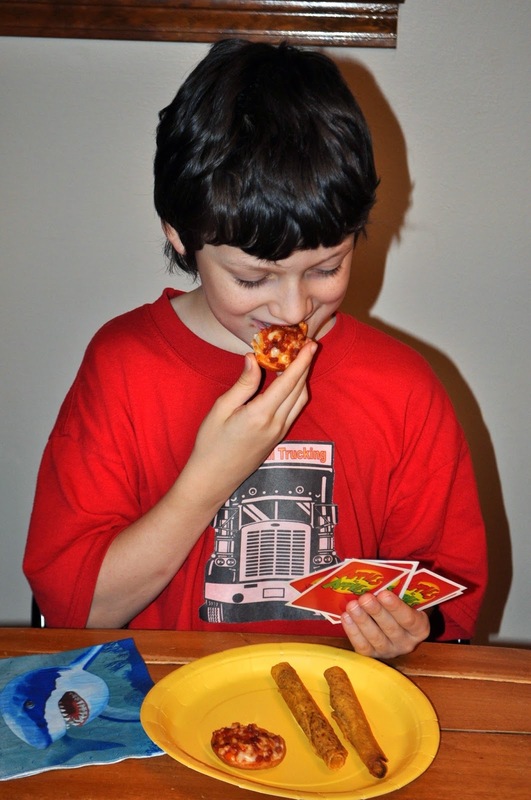 Friday afternoon, the five older kids cooked up some Delimex Chicken Taquitos and Bagel Bites for a fun snack while they played a favorite card game. 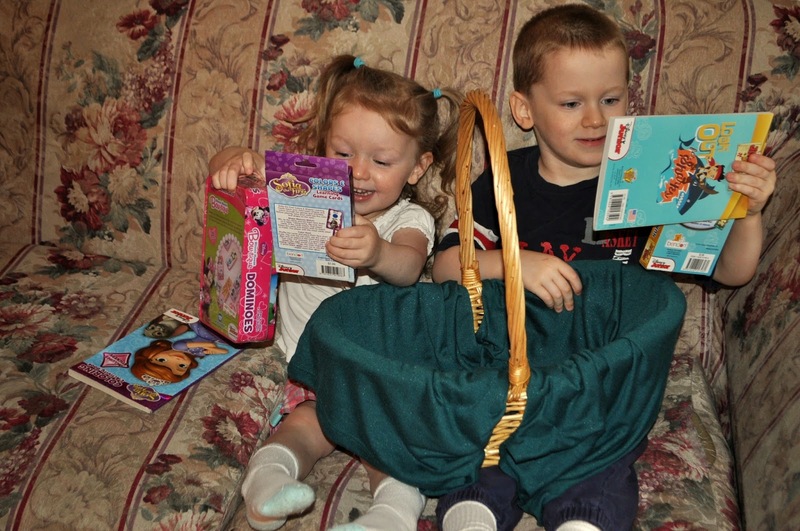 They did it all by themselves and I went in to take a nap with the baby! Earlier in the week, I'd picked up some Bagel Bites in the freezer aisle at Walmart. They've got a special section just for party food. Look for the big purple signs that say, "Parties & Gatherings." For a limited time, you can find a coupon for Bagel Bites, here. 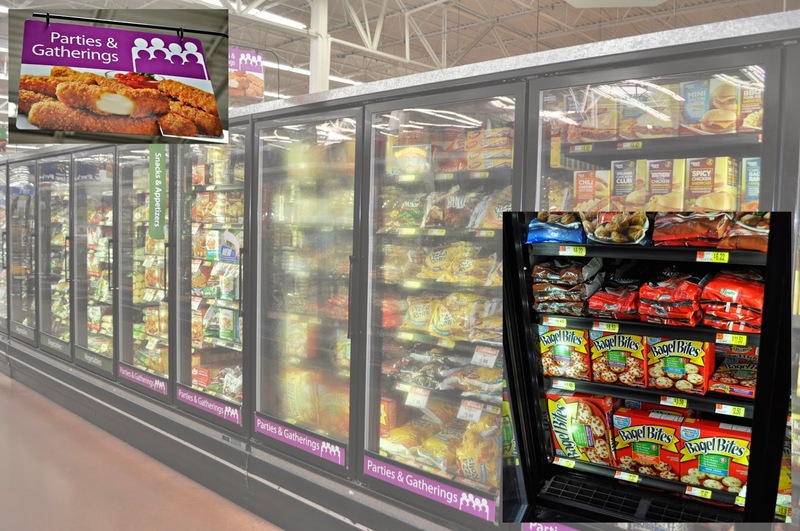 Right around the corner, in the floor coolers near the meat section, I found the chicken taquitos. These are always a favorite around our place and I never buy enough! Here is a Delimex coupon, too. 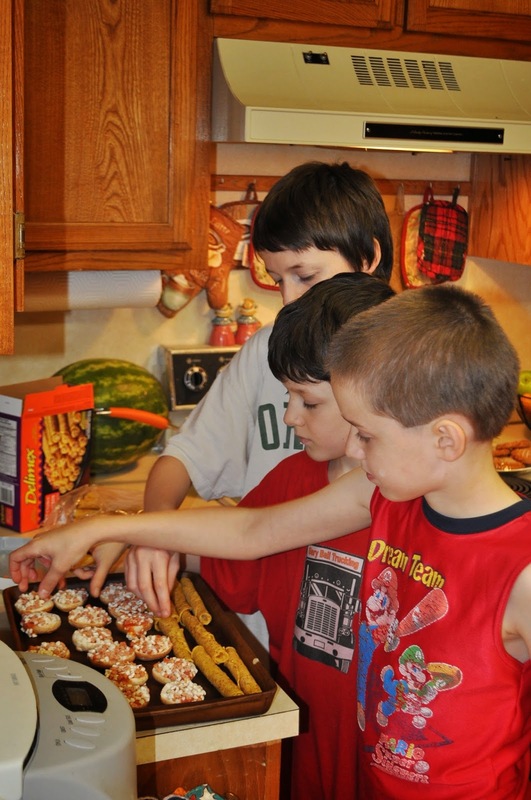 The boys arranged the frozen snacks on one of my large stoneware bar pans and popped it in the oven to bake. 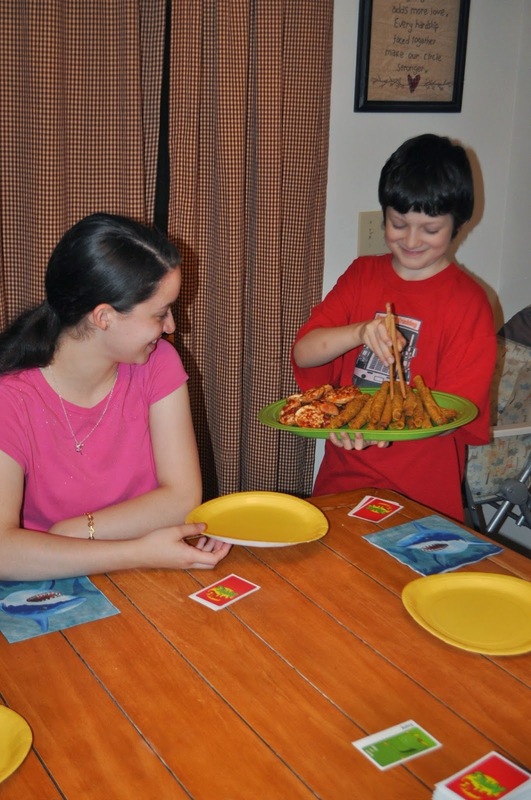 In the time it took them to set up their game and get drinks ready, the food was just about done. Both snacks are also microwavable. Cainan served everyone initially, then set the platter in the middle of the table for easy reach of seconds. I love it that they like to spend their after school time with one another. 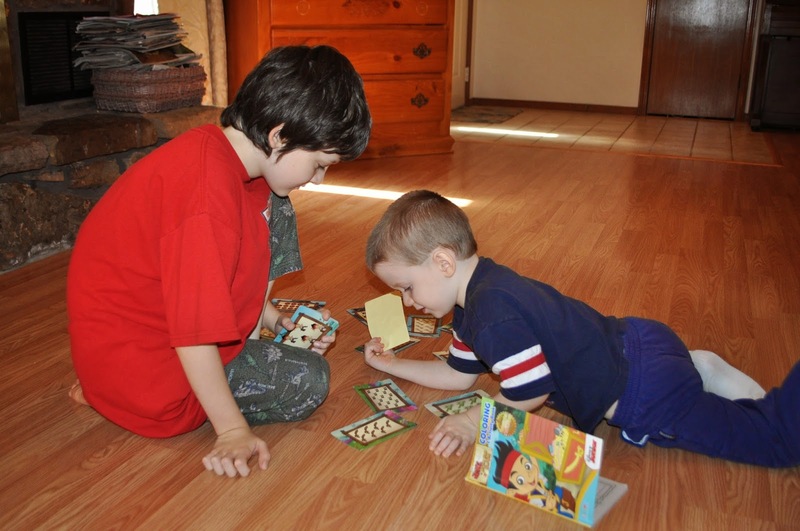 Some of my favorite memories with my little brother were our after school times when we talked about all we'd done that day and the things we'd learned. The kids were especially excited about the Bagel Bites as they'd seen them in the store but had not yet tried them. They said the homemade sauce was great and they liked that there was real cheese on top! I like it that they've got zero grams of trans fat. They also loved the white meat taquitos---even though I forgot to grab the white cheese dip we like to go with them. Oops! This plate was empty in 30 minutes and five happy kids had a great afternoon together. For product info, ideas, and more, checkout the websites for Bagel Bites and Delimex. 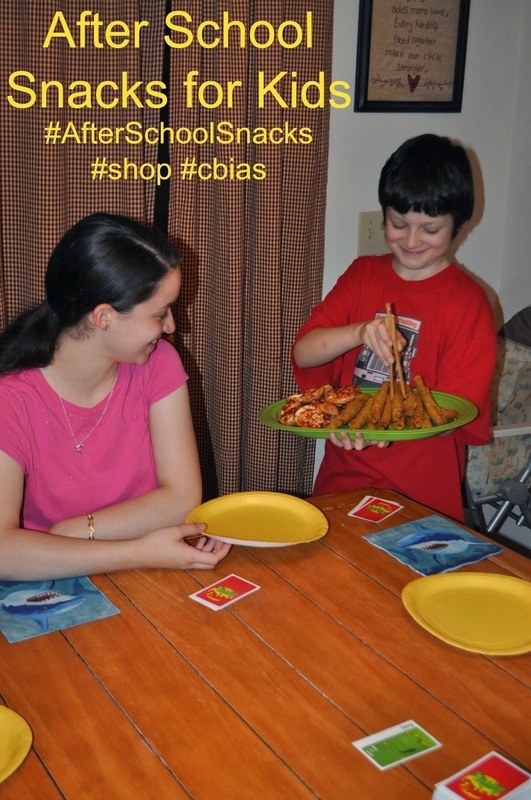 What after school routines do you have in your home? Let me know in the comments below. Before you go, make sure to check out what Elisha does when he's stumped on a homework problem. If you're a fan of Karen Kingsbury, you'll be super excited about the first book in her new Life Changing Bible Study series, The Family of Jesus. 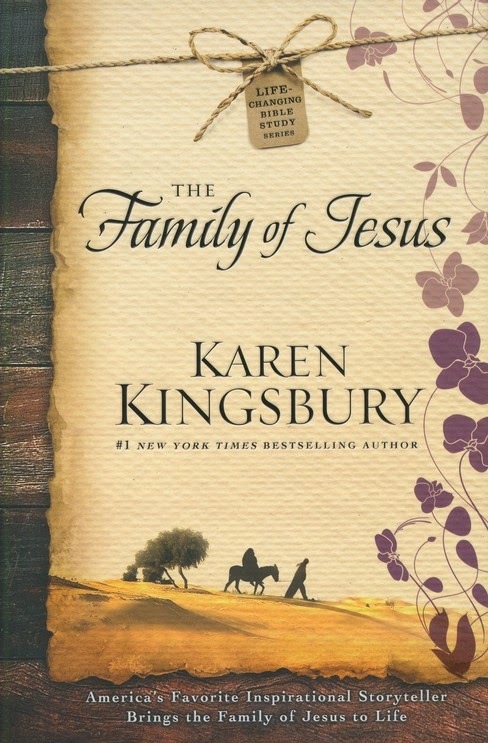 Kingsbury brings the story of Jesus and his family to life---taking us back to an early Jerusalem who was hungry for its promised Messiah. Featuring all the "main players": Joseph, Mary, Elizabeth, James, and more, these stories will solidify your faith, as well as help you feel closer to our Lord. The thing I like I best about, The Family of Jesus, is that the book includes devotional study questions, as well as group discussion prompts and homework. 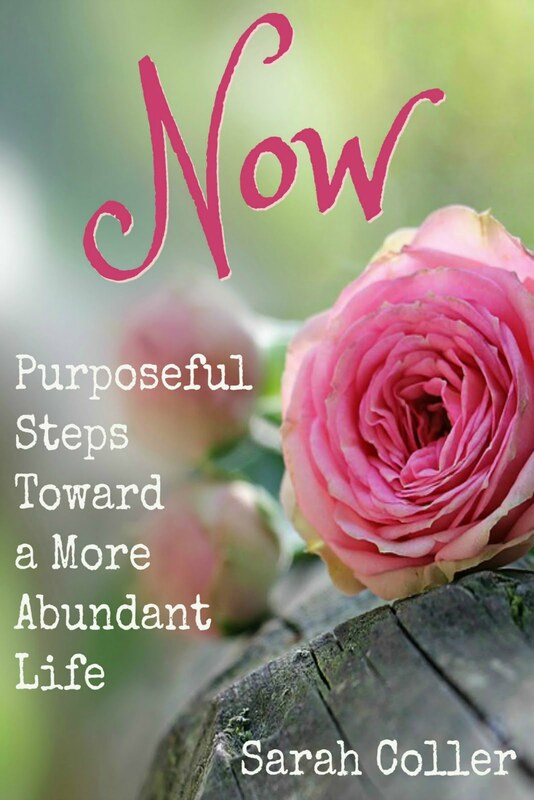 This book can be read through for enjoyment, done as part of my own devotional time, or used in a small group setting with other ladies. How would you like to win a copy of your own? Family Christian is giving away one copy and you can enter to win below (Rafflecopter might take a minute to load). I'll pick one US winner next week. 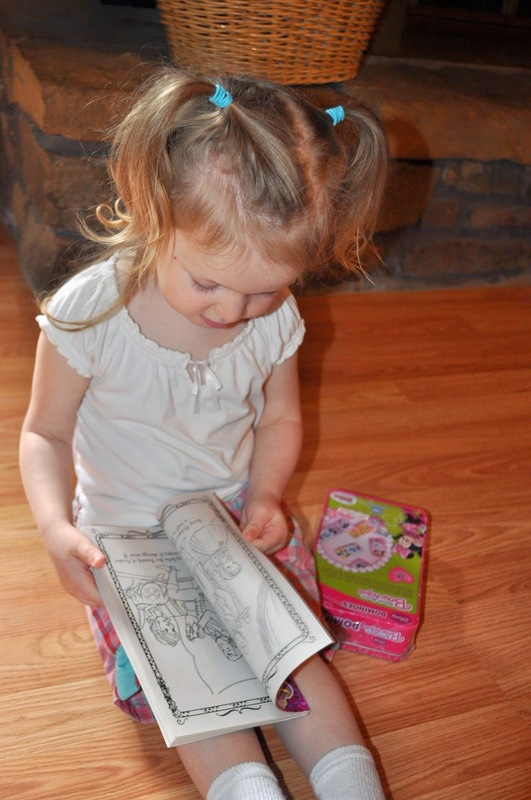 I was compensated by Family Christian for this review and giveaway. All opinions are honest and are my own. Hope In Every Season has been compensated, both monetarily and with a gimongously generous load of products, as part of a campaign with Blueprint Social an LLZ by LockerLookz. All opinions are honest and are my own. 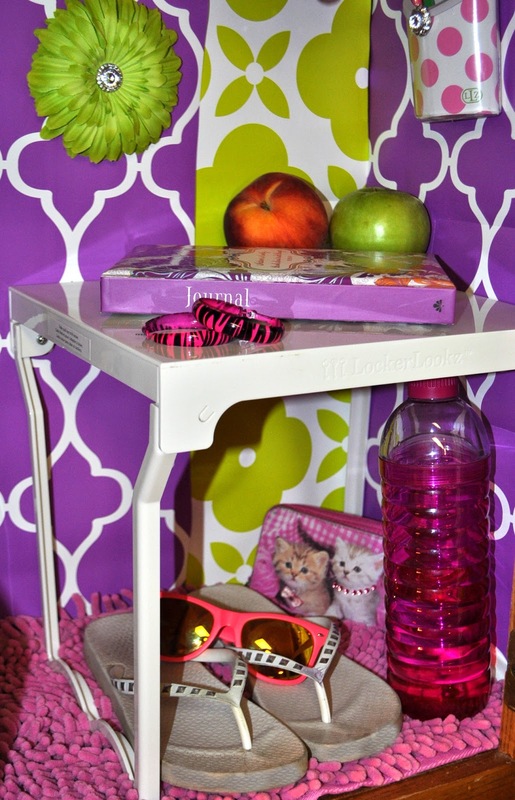 In high school, I always wanted to make my locker look super cute. I'd imagine painting it, putting up wallpaper, adding photos of my friends---maybe a mini fridge. Unfortunately, our school had rules about all that. No paint. No mini fridge. In fact, we weren't supposed to even use tape---but we did. I remember the last day of school, when we really just wanted to get out of there, but our last period teacher would be required to do locker checks and we'd have to scrape all that forbidden tape off the walls of our lockers. Not fun. 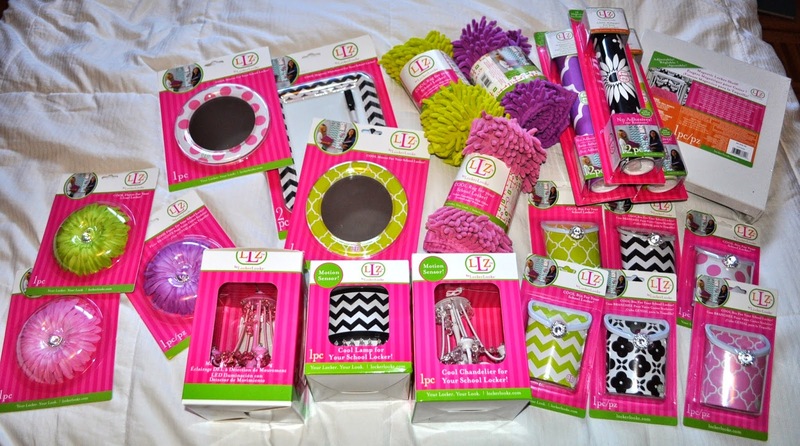 How I wish we'd had access to awesome locker bling like this line of products from LLZ by LockerLookz! Check out this massive haul of stuff they sent me to try out and decorate with! I think I'm goona buy me a locker for my bedroom---just so I can decorate and redecorate! 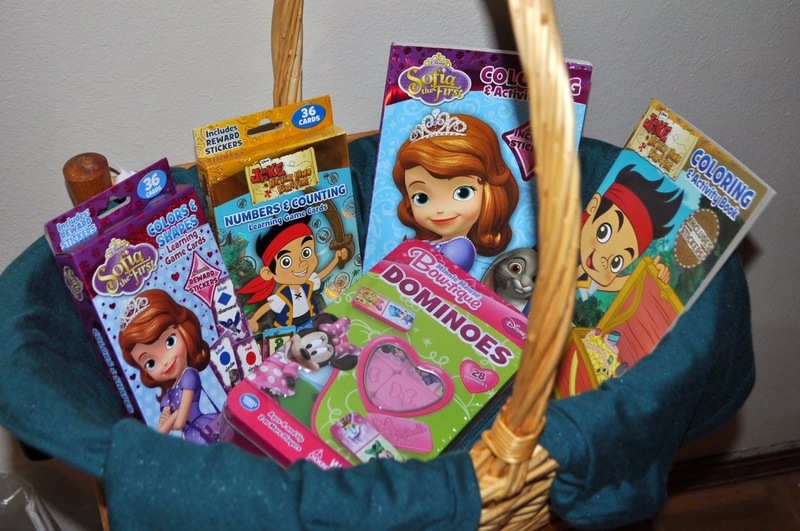 LLZ has such a great assortment of styles and colors that really give girls the chance to mix and match products that reflect their own personal style. They're fun to shop for and easy to put up. I know I'd have a blast decorating a locker with Lynzie if she went to school. Maybe I should get one for her room too! 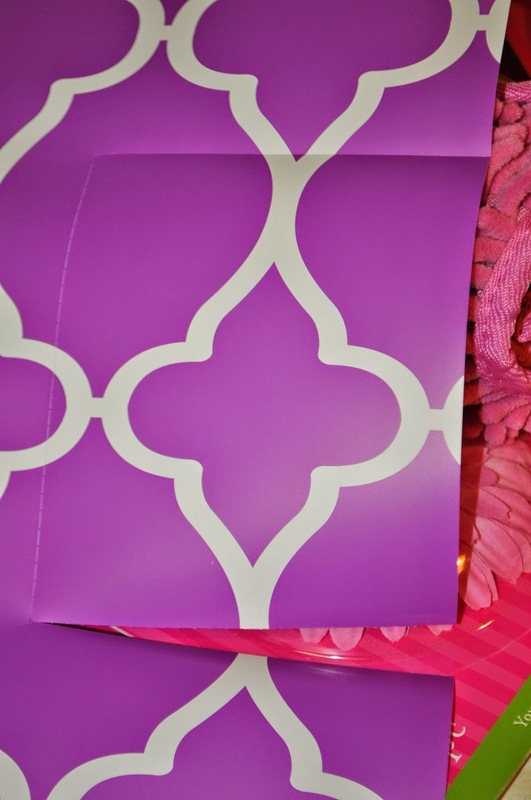 To get started, you want to line the inside and door of the locker with LLZ wallpaper. Each roll comes with 10 super strong magnets to hold it in place without getting adhesive gunk all over. They're super school-friendly---they would have gone over super well at Baker High! 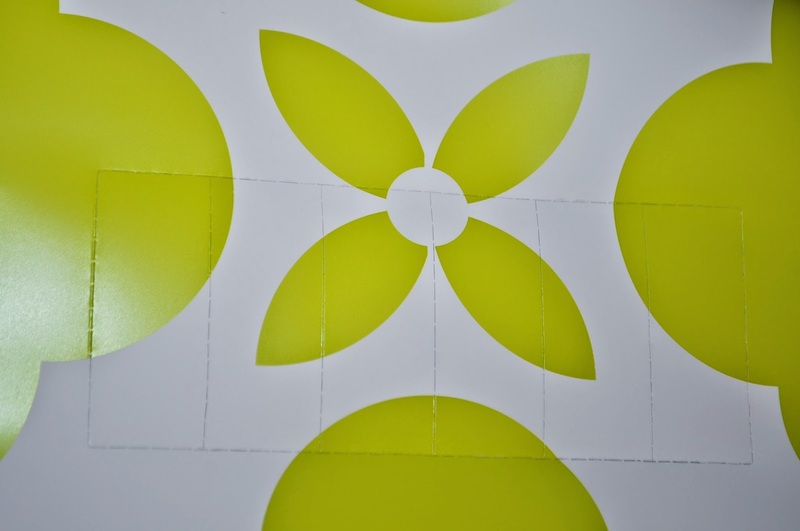 There are two pre-cut panels in each package. They're designed with perforated pieces that fit perfectly around hooks, (like the green piece above) as well as the locking mechanism on the inside of the locker door (like this purple piece). After you've got the wallpaper up, it's time to add carpeting and furniture! Check out this fun, shaggy pink rug! It's the perfect size for most standard size lockers. The Magnetic Locker Shelf has slide out sides that are magnetized so it will stay strongly in place. Don't forget lighting! 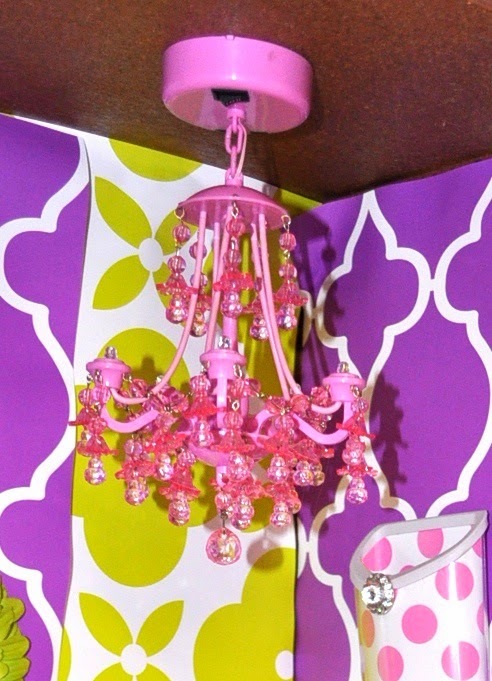 The next step is to install one of these adorable chandeliers or lamps. They have a very strong magnet at the top and they're battery-powered, as well as motion-detecting! Finally, add your accessories. 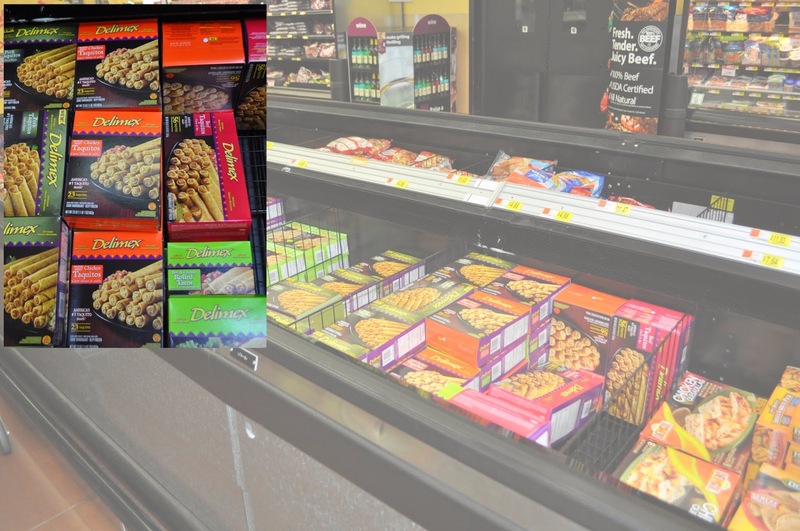 In addition to dry erase boards, mirrors, flowers, magnetized hooks, and more, they've got these super cute magnetic bins that work great for holding pens, sunglasses, cereal bars, you name it! I stuck one on my fridge so I'll always have pens in the kitchen. Perfect! 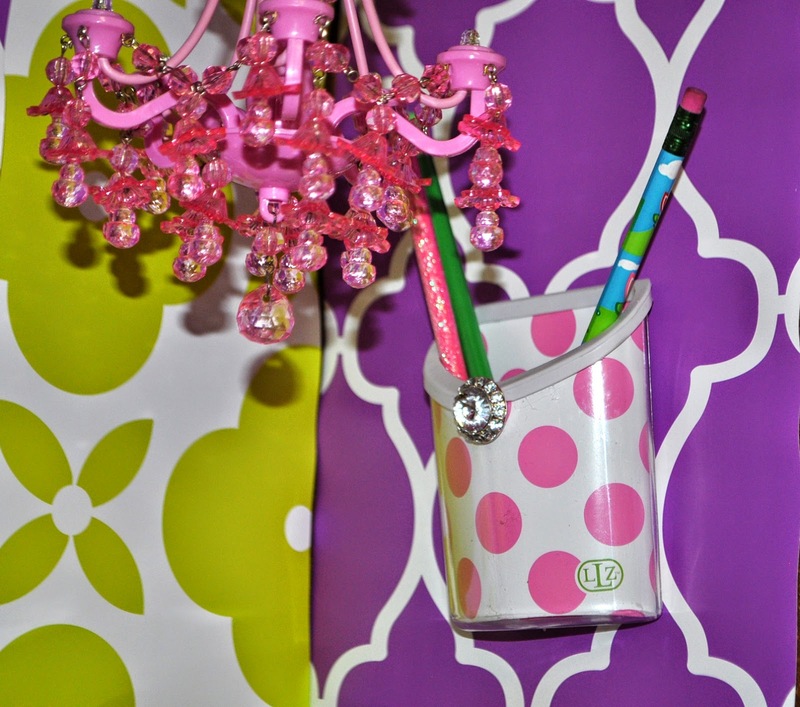 The original brand of high fashion locker decorations with the highest quality products, LLZ by LockerLookz can be found at Michaels, Staples, A.C. Moore, and Meijer. So...are you super excited now? 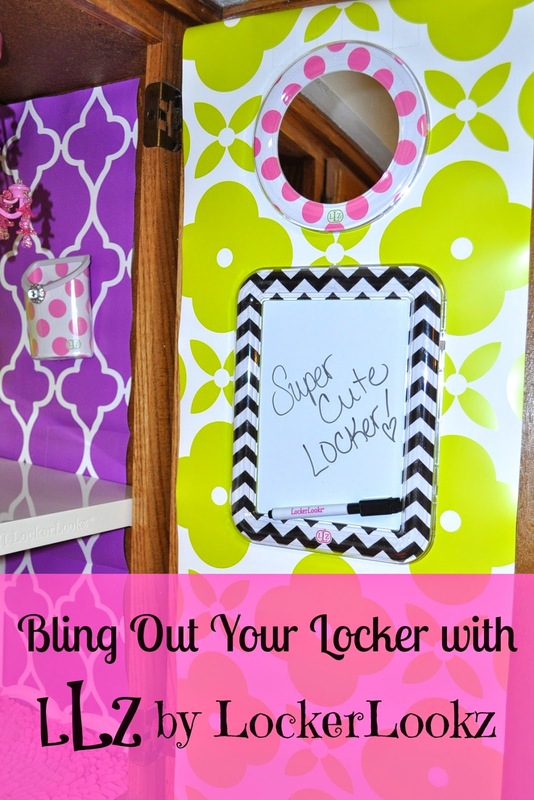 What do you think about a chance to win your own locker makeover---or even a $250 Visa gift card for school shopping? Between now and August 29th, you can enter the Design Your Dream Locker Instagram Contest. Just follow the three easy steps above and you could be a lucky winner! 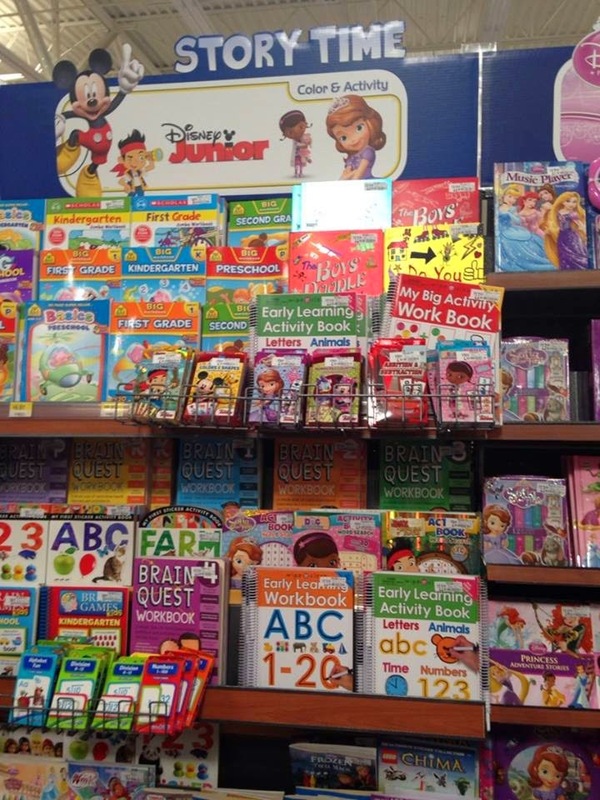 The grand prize is a $250 Visa gift card for a back to school shopping spree. 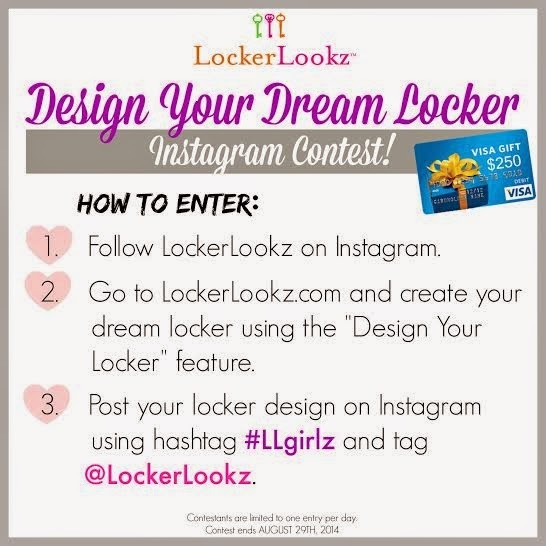 In addition, eight second prize winners will receive their full locker design from LLZ! Official contest rules can be found here. 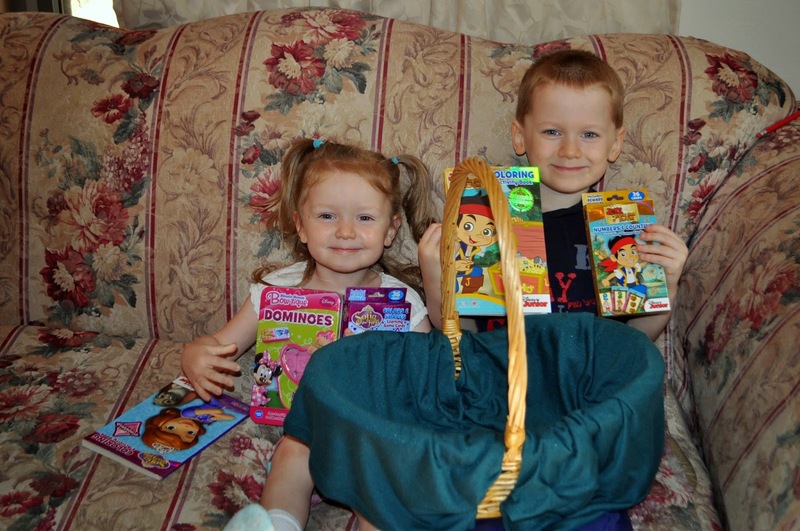 VeggieTales has been a family favorite for years---even before we had kids! 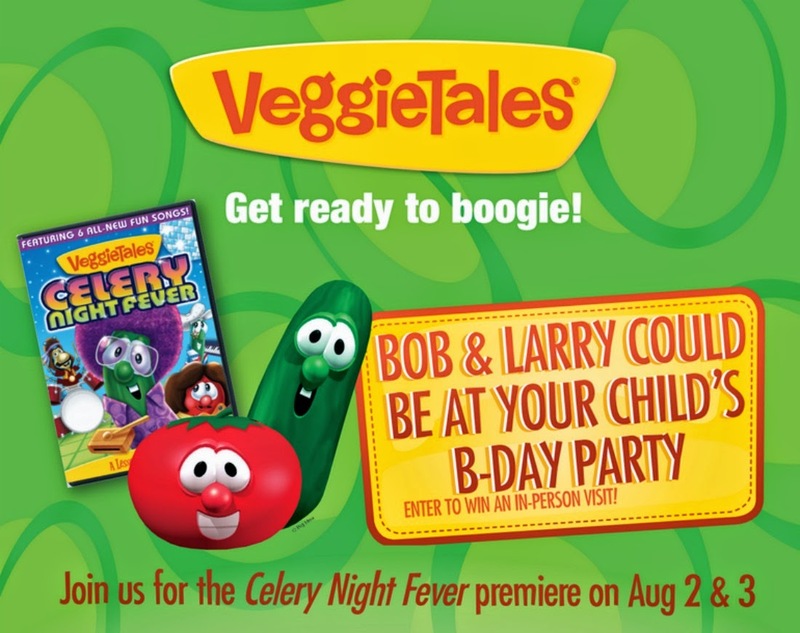 That's why we're super excited about the newest movie, Celery Night Fever, and it's premiere on August 2nd and 3rd at Family Christian Bookstore. We'll be attending at Family Christian in Fayetteville, but you can check the list of locations for your closest store. 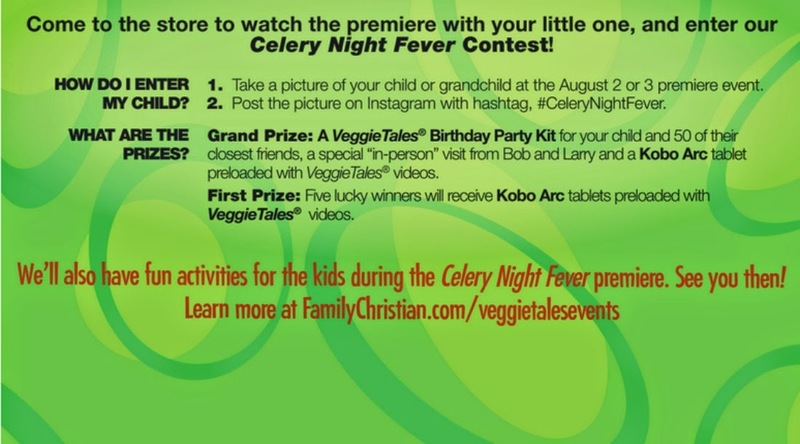 We're going to enter the Celery Night Fever contest to try to win an awesome VeggieTales themed birthday party or a Kobo Arc tablet full of VeggieTales videos! You can preorder your copy now and receive it at a special price---along with a free gift! 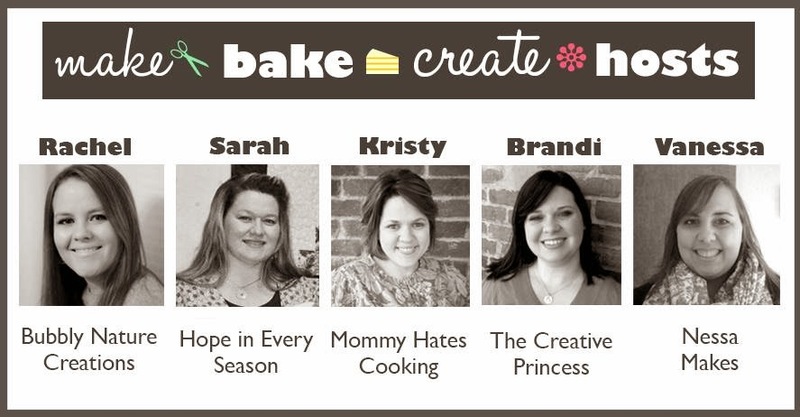 Check it out on FamilyChristian.com and let me know if you'll be attending this fun event in your area! Hope In Every Season was compensated for providing this promotional post. All opinions are honest and are my own. Is anyone sick of hearing me rave about what a great new life we have here in Arkansas? I hope not, 'cause here I go again! It seems there's always something fun to do and a new experience to be had. 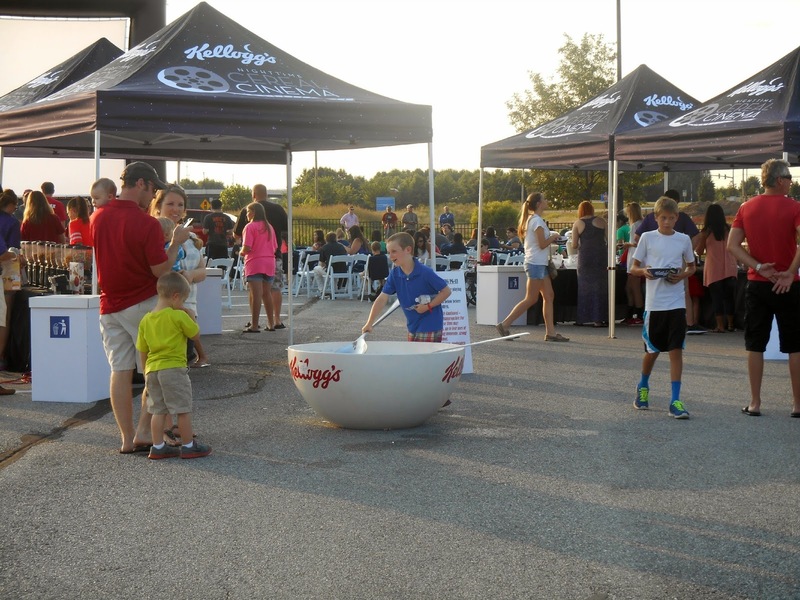 Last Saturday, Lynzie and I attended the Kellogg's Nighttime Cereal Cinema at Walmart in Rogers and had an awesome time! Eating cereal as a movie snack was one of those things I did in high school but totally forgot about. 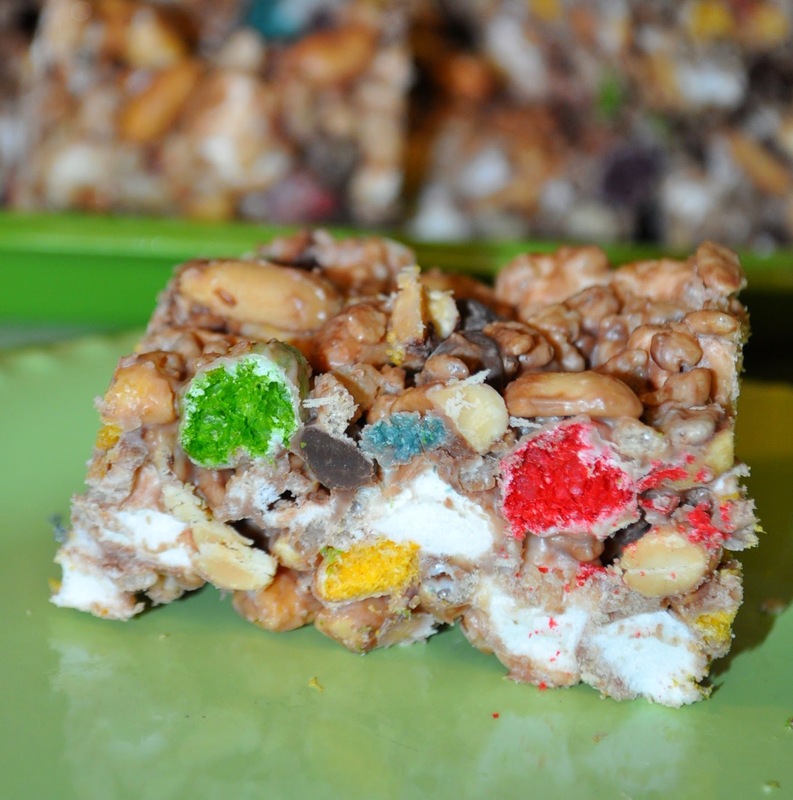 I was inspired to make these Fruity Rainbow Cereal Treats after seeing all the great options Kellogg's had for us to sample. 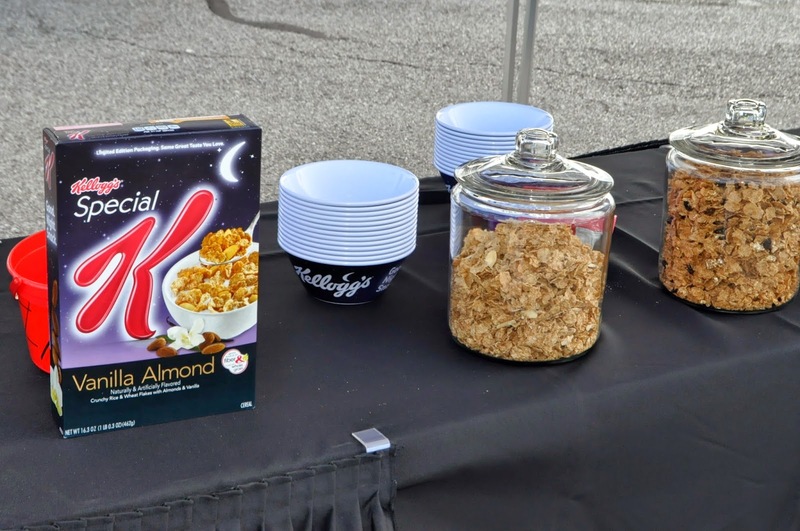 Before the movie started, attendees got their bowls ready at these snack tables that were set up. 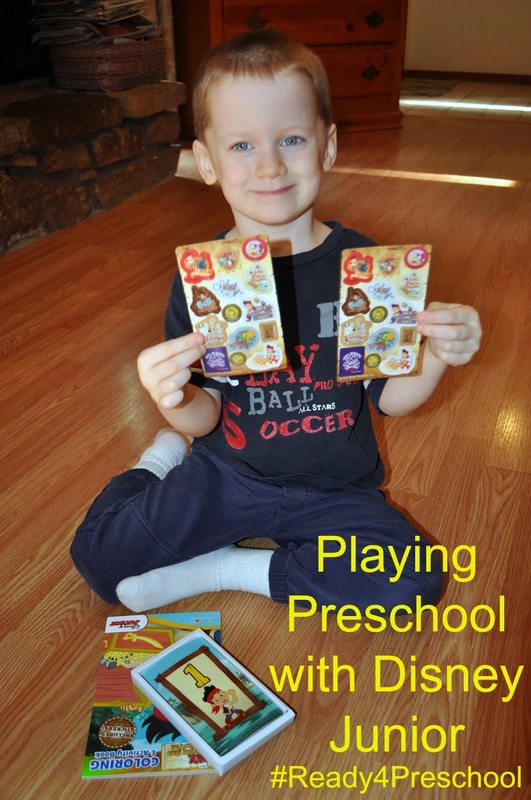 Kellogg's cereal is a good night snack for family movie or game time. Many varieties are healthier than popcorn or candy, so you can feel better about letting your family munch on it in between meals. I thought these limited edition "nighttime" boxes and bowls were pretty fun for the occasion. 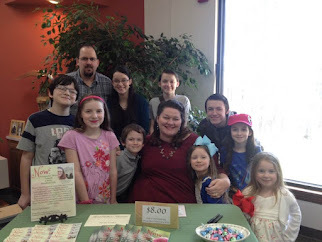 Other pre-movie activities included hanging out with some of our favorite spokesmen. 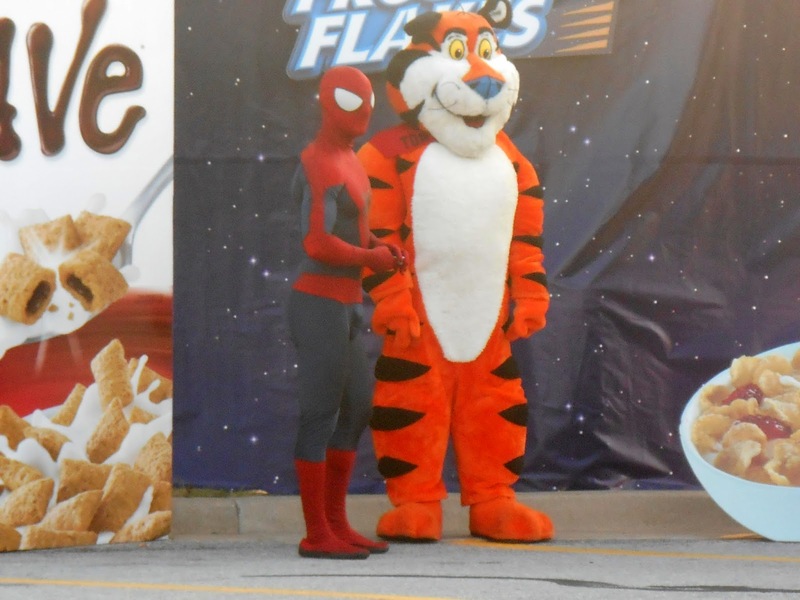 Lynzie got this shot of Tony the Tiger and Spiderman chatting near these gigantic cereal boxes. There were a couple of gigantic cereal bowls filled with ice and water bottles. The kids had fun digging out their bottles with a massive spoon. How fun! I was impressed with the organization and attention to detail. 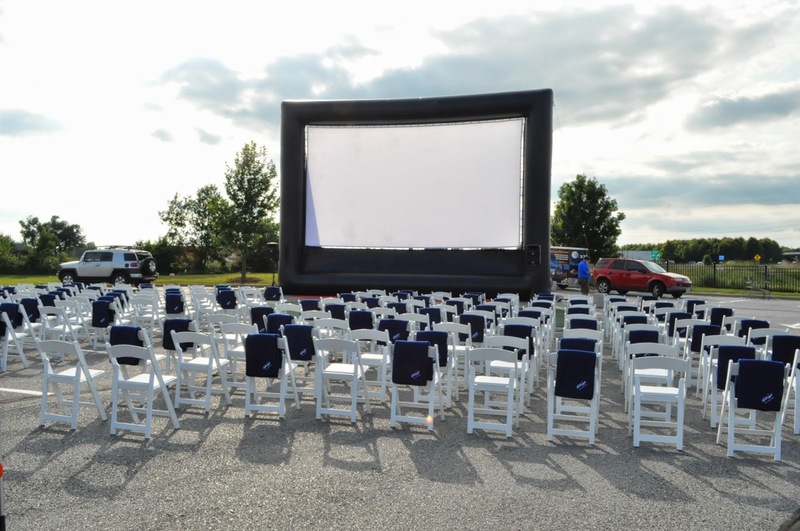 The screen and chairs were set up long before the movie started to gauge shoppers' interest, and there were even blankets set out in case it got chilly! 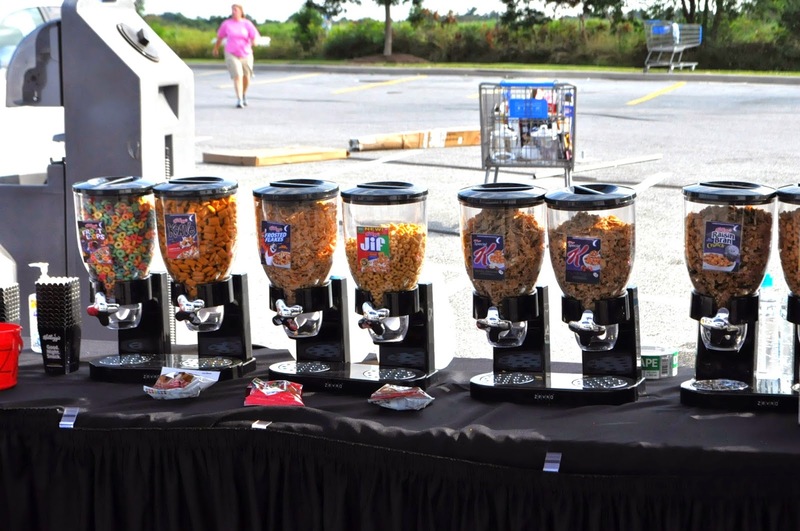 There were lots of different cereal varieties to choose from---from Froot Loops to Frosted Flakes to Raisin Bran---there was something for everyone in these fun dispensers. 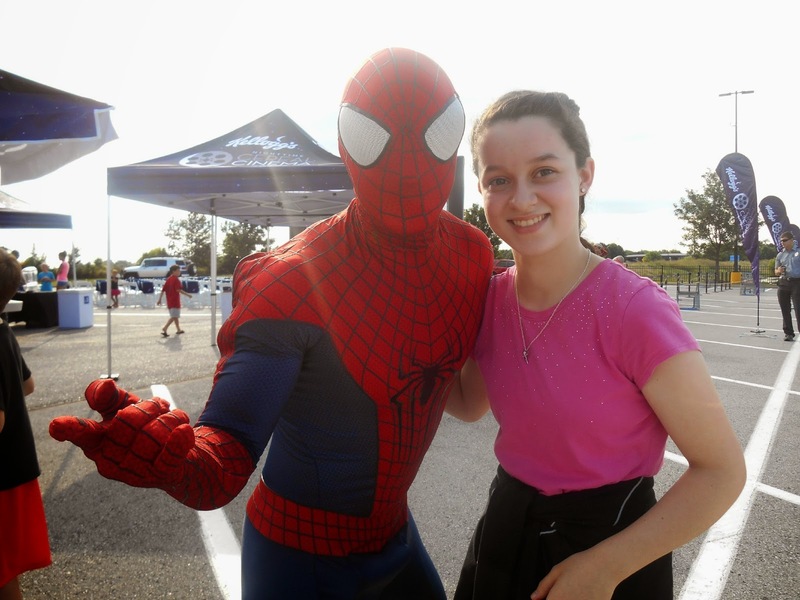 Lynzie's favorite part, of course, was her selfie with Spidey! He asked her how old she was. When she said, "Fourteen", he said, "I was fourteen once. That was back in the days of Mary Jane." Ha! Once the sun went down, the movie started and the good people of Northwest Arkansas enjoyed a movie under the stars. Have I moved to Heaven? Yeah, pretty close! The next afternoon, I decided to try out my newest cereal treat idea. If you've been following the last month or so, you know I'm on a cereal treat kick. 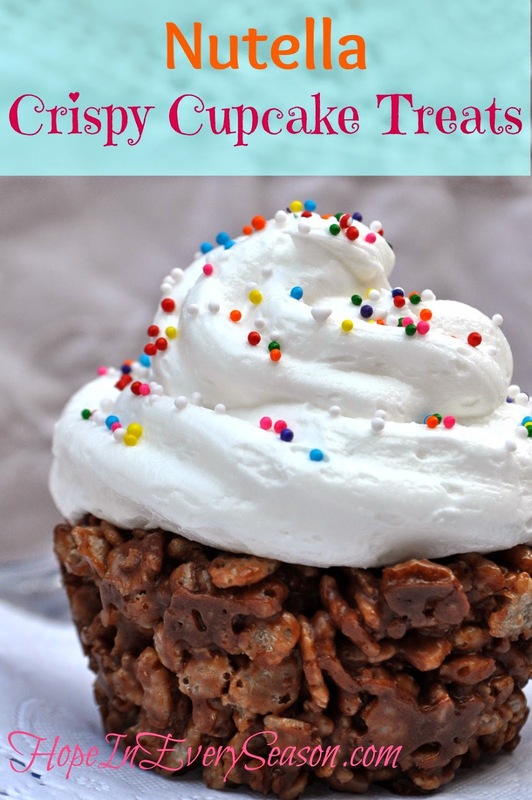 There's just so much you can do with a box of Rice Krispies! This one came from a friend of my mom's---though I've added my own special touch to the recipe---chocolate chips! Grease a 13x9 in. pan and set aside. Mix all ingredients except chocolate chips and almond bark in a large bowl. Melt white almond bark until smooth. 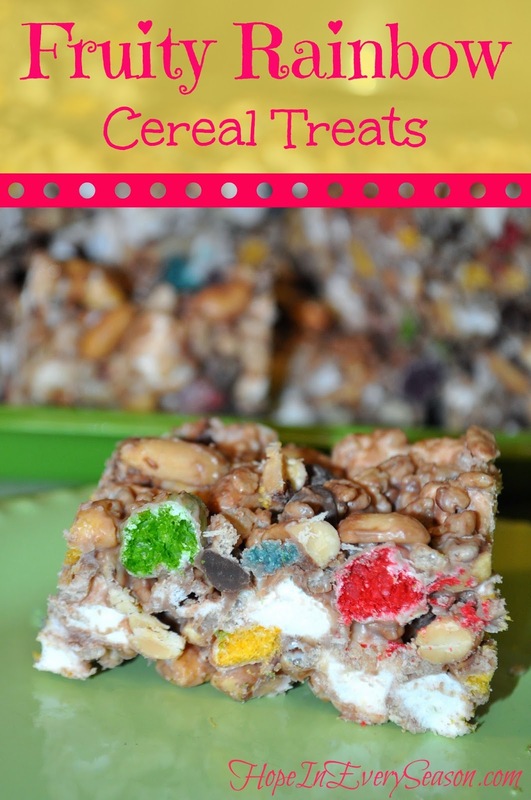 Pour melted almond bark over the cereal mixture and stir well. Stir in chocolate chips just until mixed. Press into pan and let cool until formed into bars. 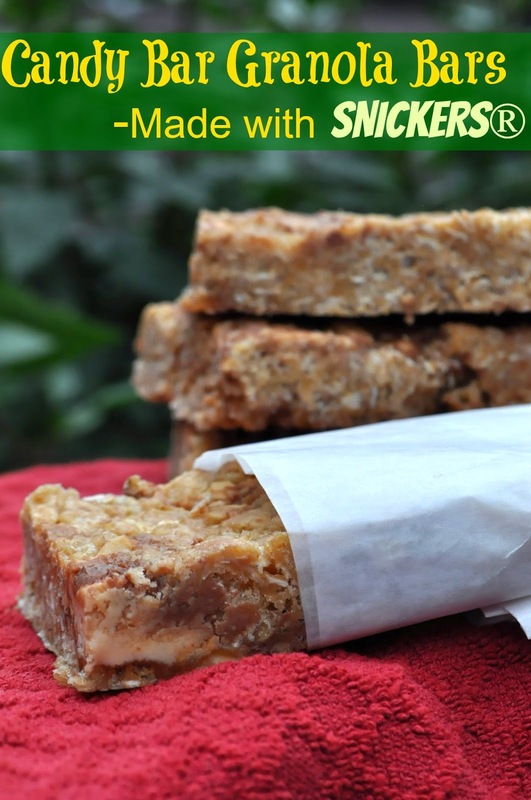 Or make some Candy Bar Granola Bars for your next movie night snack---they've got Rice Krispies too! I'd love to know how you use cereal for snacking. Let me know if you try any of these recipe ideas, as well!